T-Mobile’s outspoken CEO John Legere confirmed today on Twitter that his company will be offering an iPhone 6s beginning Friday for as low as $5, $10 or $15 per month, depending on the model being purchased and older iPhone traded in, through its JUMP! On Demand device upgrade program. The lowest $5 per month pricing entails an iPhone 6 trade in, while buying a new iPhone 6s for $10 per month requires trading in your iPhone 5s. Customers can take advantage of this offer even if they have already pre-ordered their device with a trade-in. Leggier conformed in another tweet that pre-orders of new iPhones at T-Mobile are up thirty percent versus the previous year. 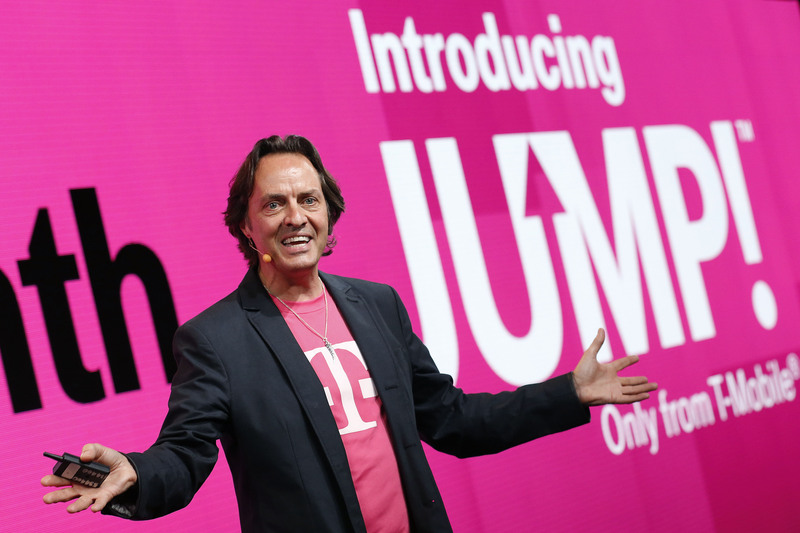 “With these incredible $5 and $10 a month deals, we’re giving customers just one more reason to come to T-Mobile,” said Legere. 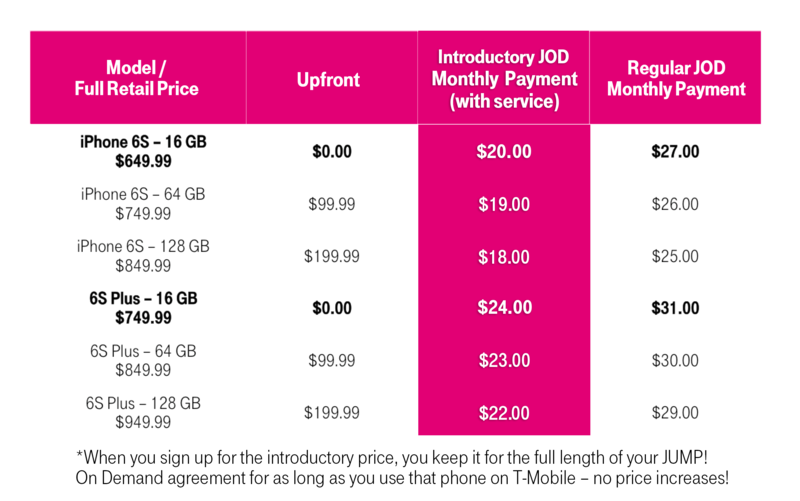 Here’s the full pricing matrix for T-Mobile’s offer. 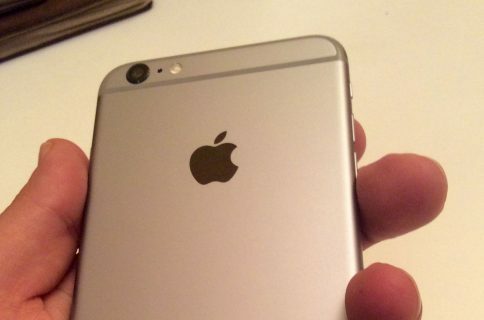 The company revealed its iPhone 6s and iPhone 6s Plus pricing last week. 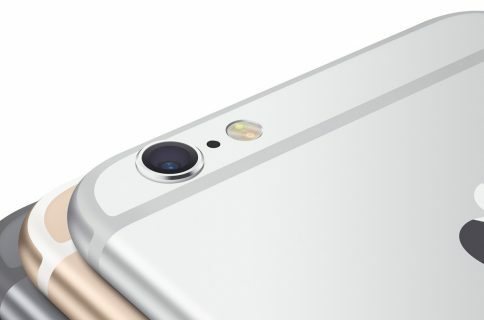 The entry-level iPhone 6s with sixteen gigabytes of storage is being offered for $0 down with an introductory JUMP! On Demand pricing of $20 per month ($24 per month for an entry-level iPhone 6s Plus) over the course of eighteen months, with your older device traded in. So, $20 per month times eighteen months with $0 paid upfront totals $360. An additional $164 paid to keep your new iPhone brings the total cost of ownership to $524, excluding taxes and an older iPhone model trade-in. 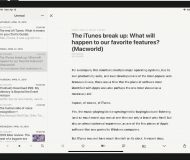 In addition, the carrier has also rolled out a brand new ‘Lifetime Coverage Guarantee’ which essentially ensures your happiness with T-Mobile’s network. The offer says that if at any point you aren’t completely satisfied with the network “for as long as you use your iPhone 6s or 6s Plus on T-Mobile”, you’ll get a refund for up to a full month of service. 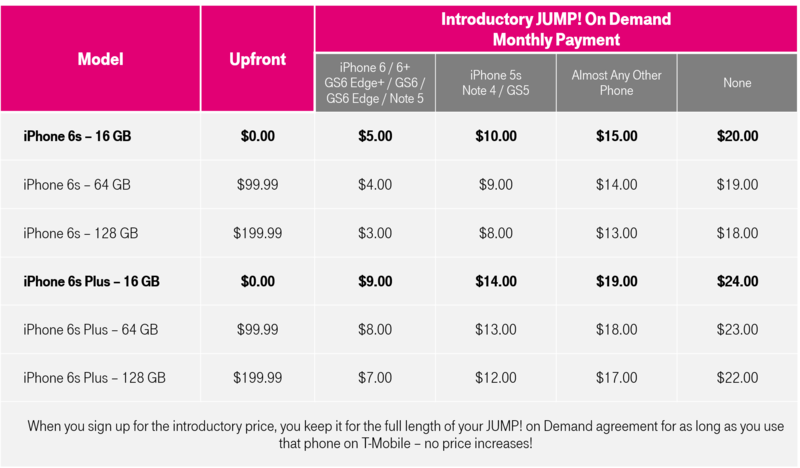 The Lifetime Coverage Guarantee promotion is valid for new iPhone 6s or 6s Plus purchases through JUMP! On Demand equipment installment plan. 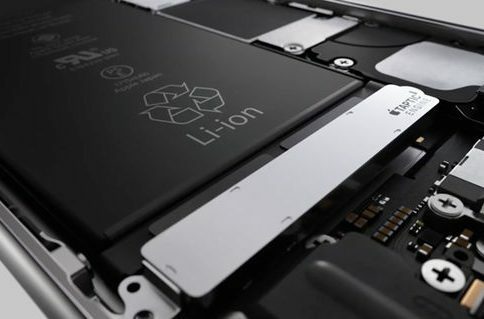 And thanks to the new iPhones’ support for 300MBps LTE-Advanced and expanded LTE bands, the devices will support the “radically expanded LTE coverage” on T-Mobile. It’s called Extended Range LTE − also known as “Band 12” or “700MHz spectrum,” is already live in 170 markets and covers more than half of US population. Again, new iPhones support T-Mobile’s Extended Range LTE. In addition to Extended Range LTE, T-Mobile’s network now uses other frequencies and Wideband LTE for expanded coverage. 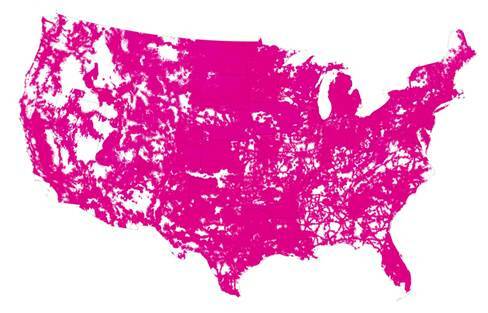 All told, T-Mobile’s LTE network now reaches over 290 million Americans.